I take part in a couple of card swaps each month, exchanging cards with other crafter's all over the world. With this in mind, I've been having a play with some of our Sale-a-Bration products, the Wildflower Fields DSP in particular. I absolutely love just how different these cards look, even though I'm using the same sheets of DSP, just the opposite side (got to love double sided papers). Which do you prefer? 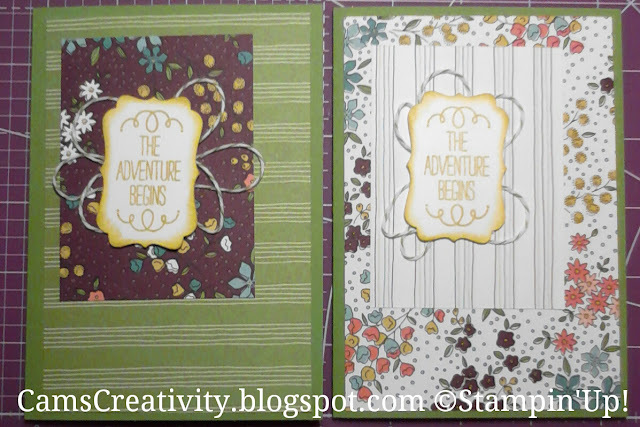 As usual, I've included a slideshow of the products used in creating these cards, in addition to the Sale-a-Bration DSPs.